For the LR6-USB, a USB interface was added to our innovative LR6 signal tower. The signal tower is powered and simultaneously controlled by the USB interface. The USB interface ensures easy retrofitting and integration into the existing manufacturing plant and allows sending an error message without the use of a PLC. 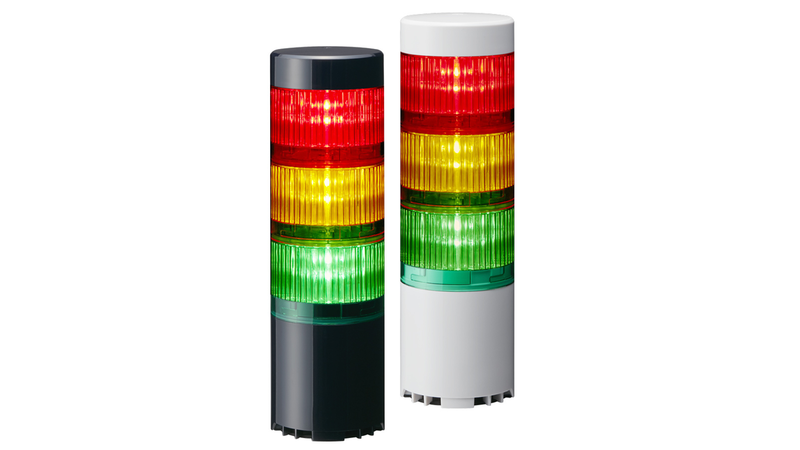 The LR6-USB is available as a multicolor with 7 colors as well as in the standard colors with colored and clear domes. The closed buzzer has 5 alarm sounds and a clear 360° sound with 80dB. The control can be done via a PC or HMI. Due to the free software library DLL, the signal image can always be reprogrammed. Since the LR6-USB uses an open software architecture, the signal tower can also be used with other operating systems, e.g. Windows R and Linux.